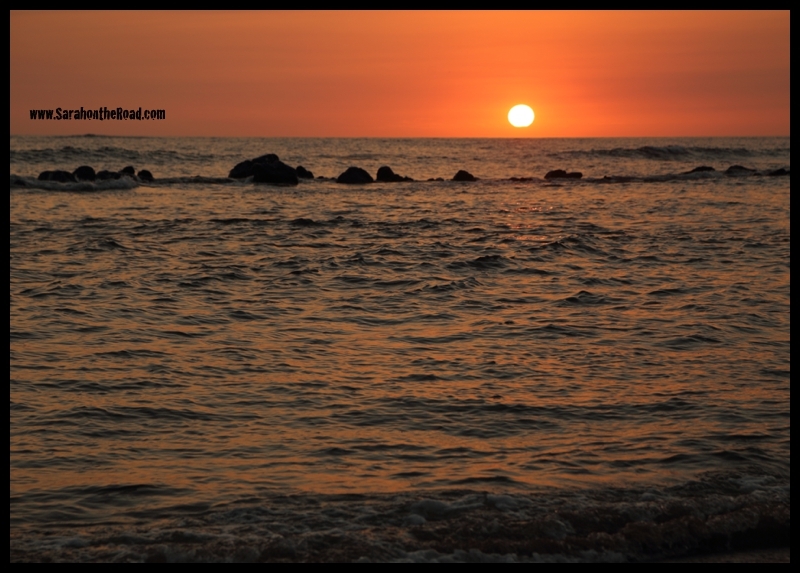 One of my favourite things to do when I was in El Salvador was to head to the beach around 5:30 pm to find a spot to watch the sun drift down into the horizon of the Pacific Ocean. 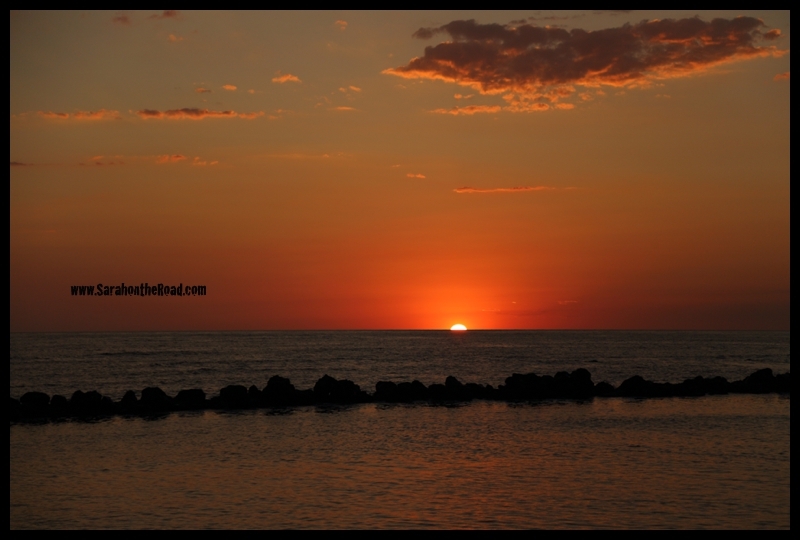 Watching the sun set is so amazing…every night the same magic show happened! You had to guess the time I got the timing perfectly…when the shutter would go off and jumping to be in the air…this awesome random lady walked by and ended up in the shot! 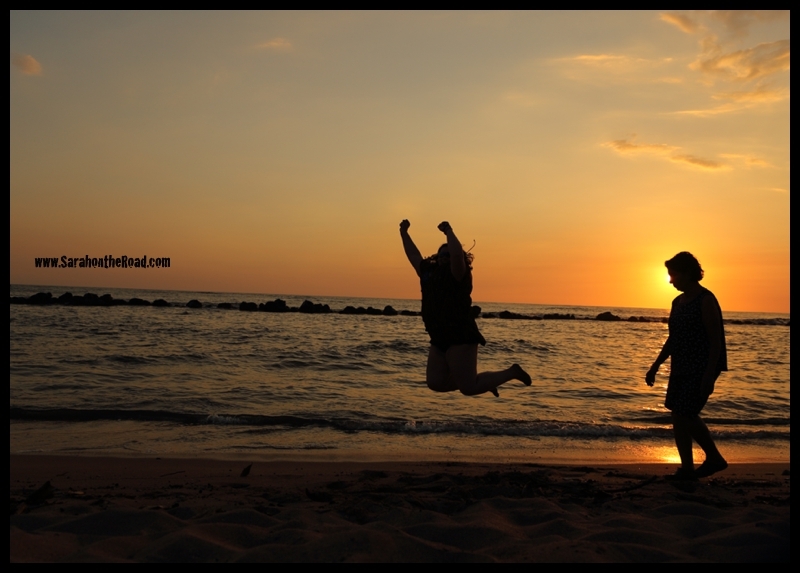 Here’s one last snap of the sun going down…remember sometimes you just need to stop to watch the sunset and maybe even JUMP for joy! *well not really wordless today! 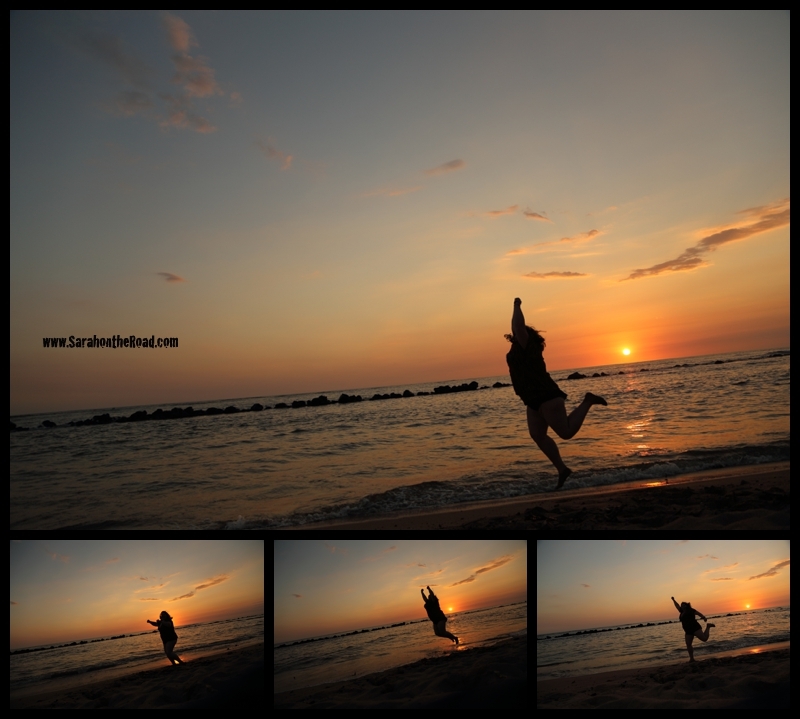 This entry was posted in International Travel, Wordless Wednesday on April 23, 2014 by Sarah on the Road. On Monday, February 17th I went on my last day trip from the resort. I left mum at the resort to relax pool side while I went off on an adventure to see a fishing market, walk on a volcano and visit a volcanic crater lake. On our way to the volcano our tour group took the panoramic highway to take in the gorgeous coastline of El Salvador. 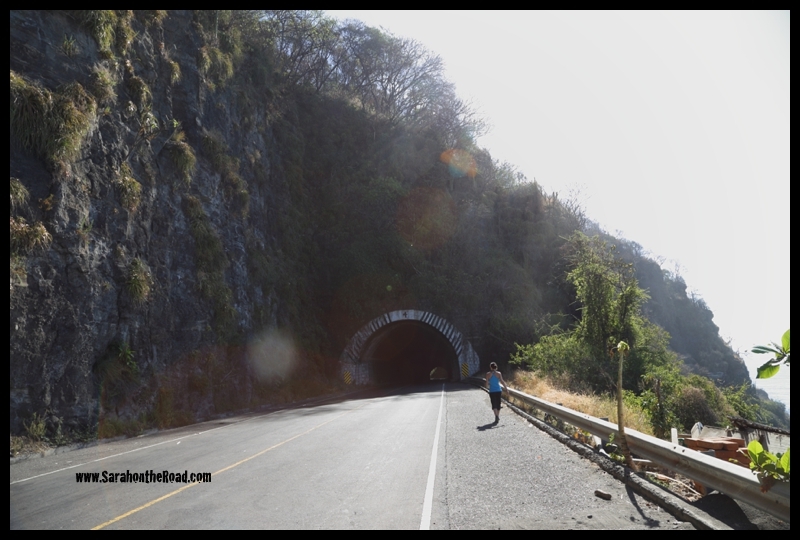 Here was one of many tunnels that we went through…kind of crazy and long! But was worth it to see the fantastic coastline of the Pacific flash past us out the windows of the bus. We stopped off at the Port of Libertad. It was this fantastic fish market on a pier. It was so much fun to walk through and see all the fish…and people looking to get a bargain! 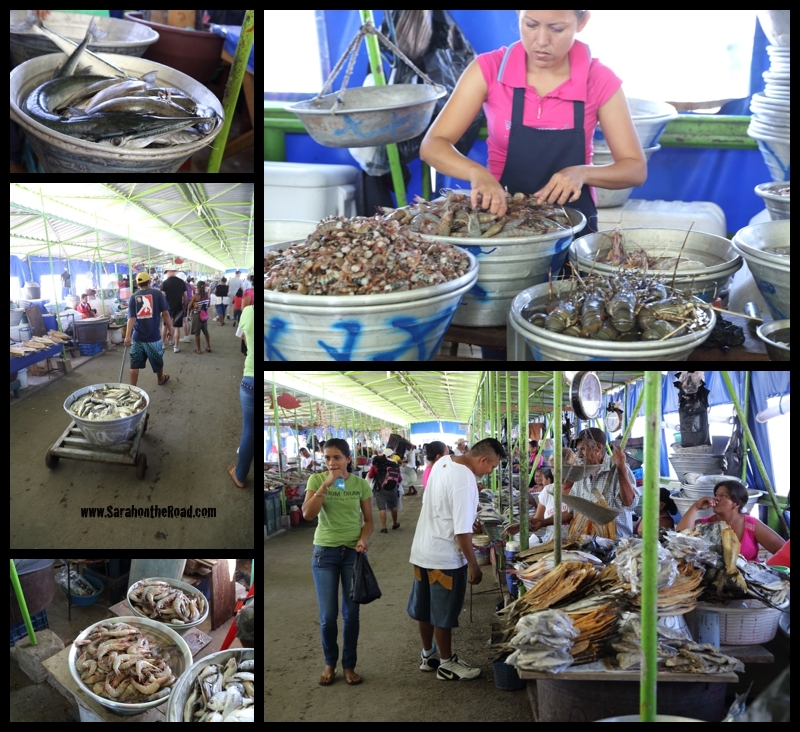 Port of Libertad…Fish Market such a great start to a fun day! When you walk through any type of market all your senses go into overload! Sometimes you just need to take it all in…to stop to remember what you see, hear, smell…didn’t taste anything while I was exploring! The shrimps/prawns were HUGE…the size of your fist or bigger! 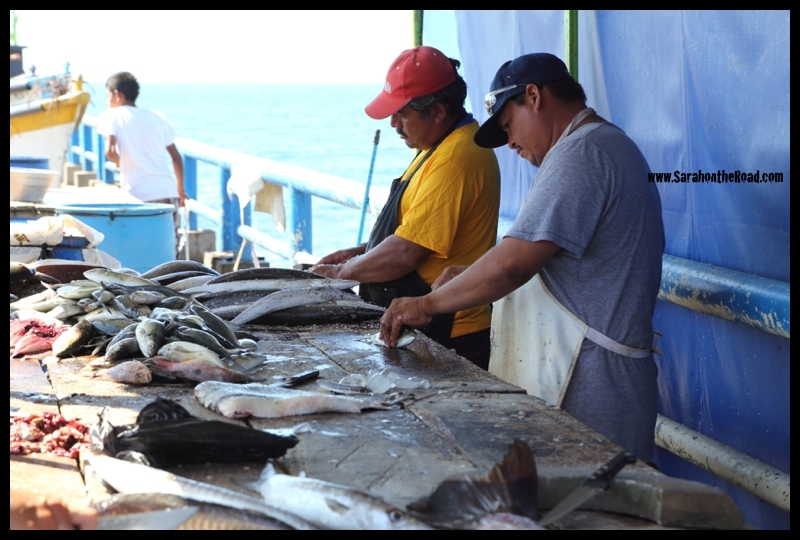 Here’s where the fish are carved up before they are taken to be sold in the booths of the market. The top of the pier is like a boating parking lot. Our tour guide explained that it was a fishing co-op…so the members could park their boats on the pier, and sell the fish to the people selling them in the market! 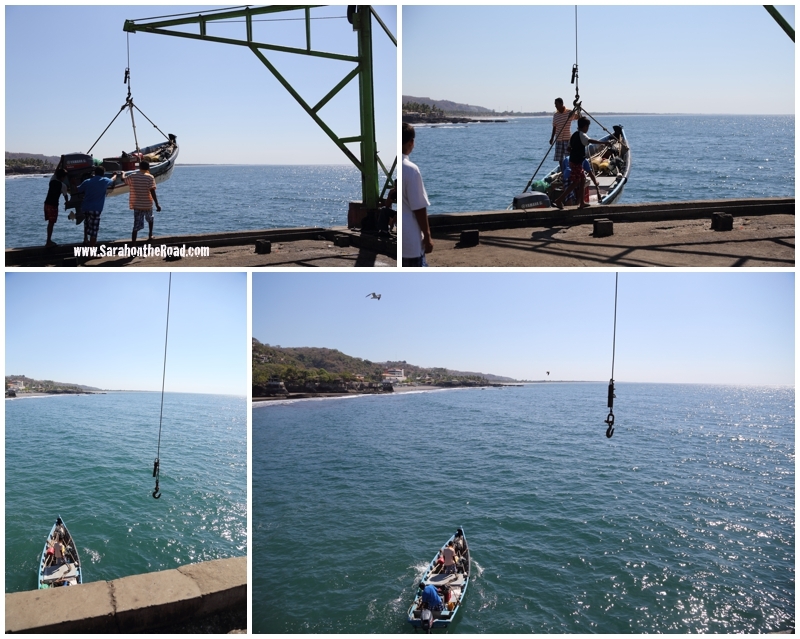 At the end of the market was this pulley system that was set up to bring up the boats and drop the boats down into the ocean. 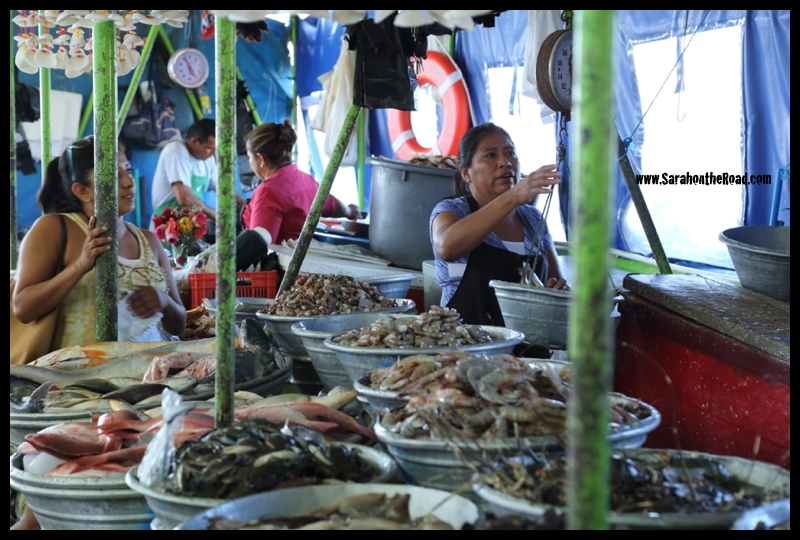 …just selling tourist souvenirs from a boat and another fish stall in the market!! 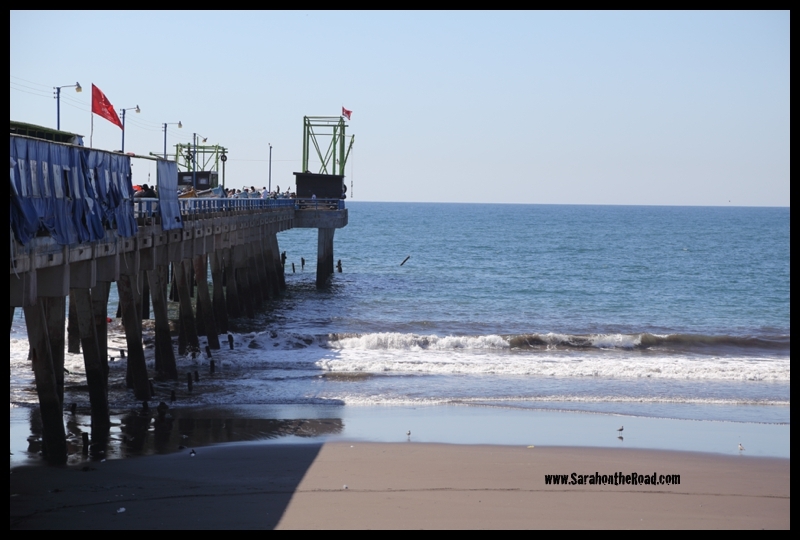 Another view of the Pier from the other side! 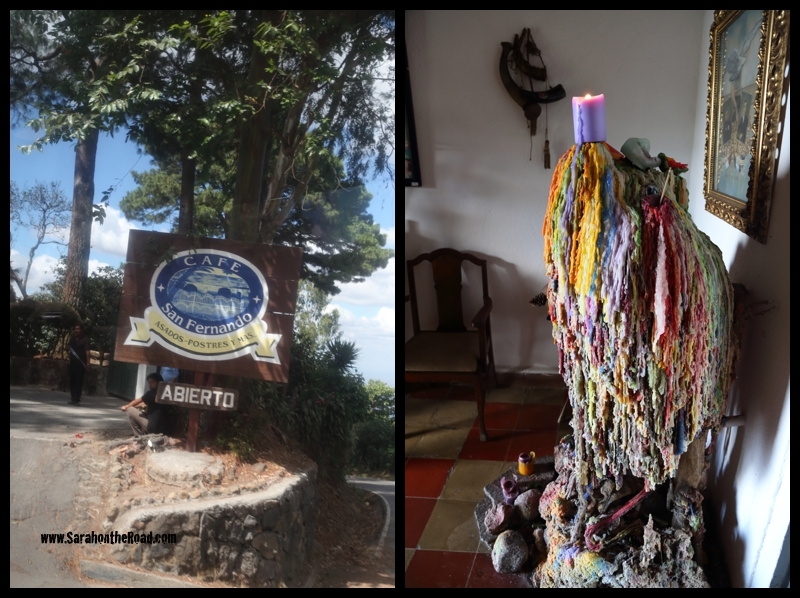 Like all the tours I went on from the Decameron Explorer…the tour guide was fabulous. Emelin shared so much information on our travels during the day. She had so much information and passion for sharing pieces of her culture with us. 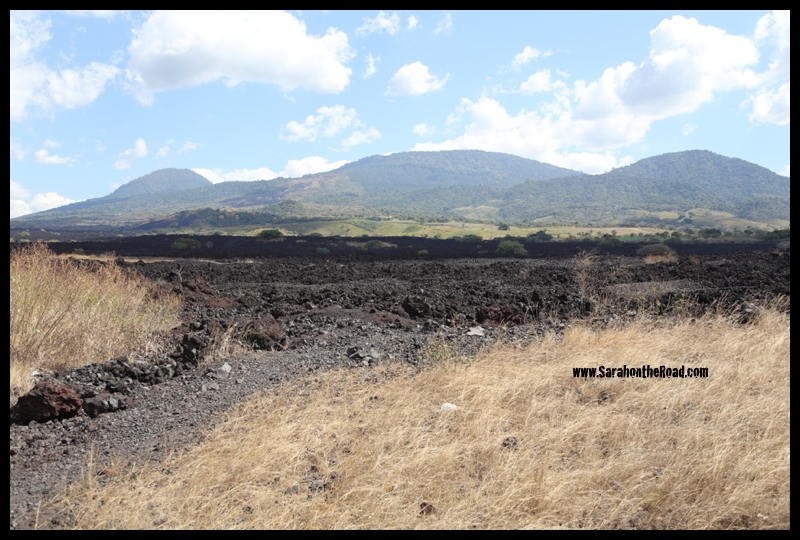 On the right is a photo of the San Salvador Volcano…the one that we were heading to and climbing up to the top. 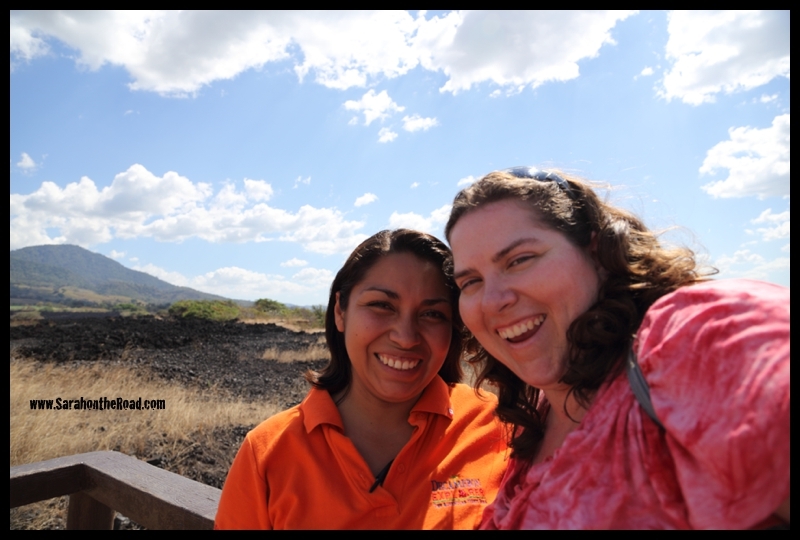 There were three different volcano tours. 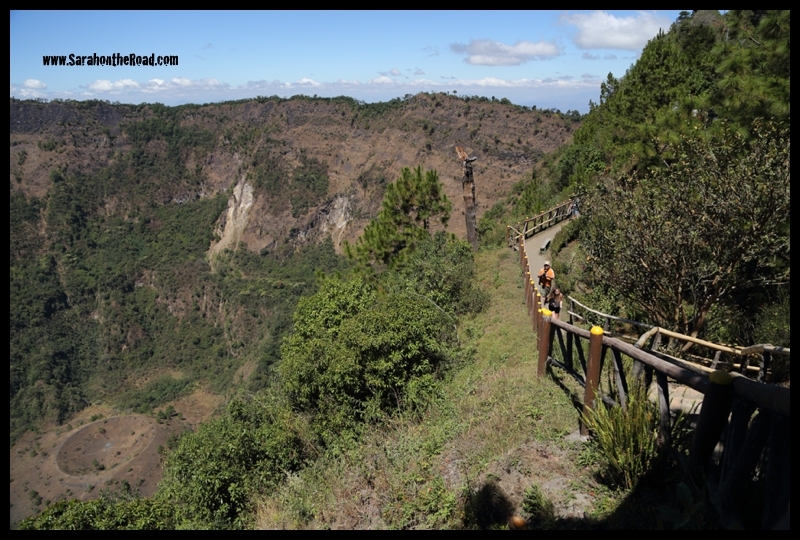 The Izalco Volcano which was a crazy climb…for experienced hikers (I took a pass at the one). Then there was the Santa Ana Volcano…which was an ok climb…but still a hike! 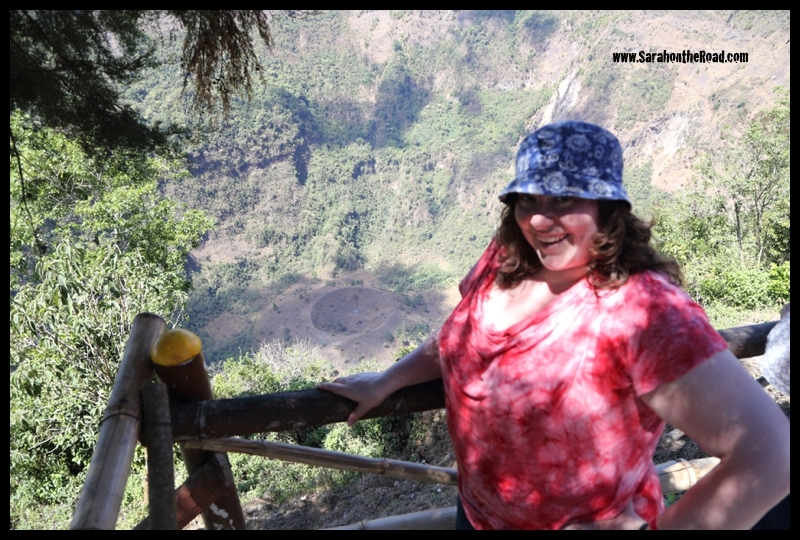 I picked the San Salvador Volcano…the fun of visiting the top of a volcano but the bus did most of the walk to the top….only a bit of leg work to get to the very top! This volcano is located on the west of city— San Salvador and is part of a complex bulk that includes the peaks: El Picacho (1.967m) and El Jabali (1.397m). 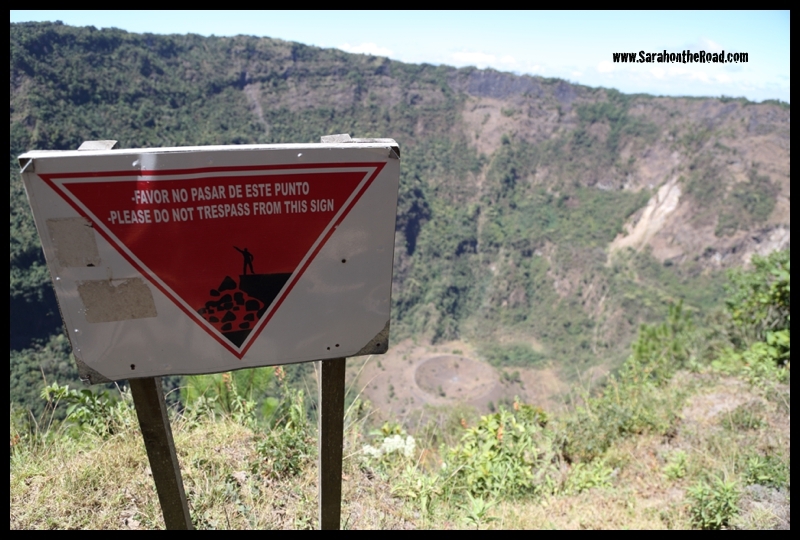 The crater (the big hole) has a diameter of 1,500 sq. meters and with an altitude of 1.800 metres above sea level. We took a nice walk along the ridge of the volcano. This one is “sleeping” but still active…the last time it erupted was in 1917. We stopped again at this fabulous restaurant on the side of the volcano…we sat outside in these fabulous gardens…with views looking over San Salvador. For lunch… I picked fish again…so good, this was the best fish meal I had out of all the 3 tours! I loved this tree outside of the restaurant…something about the branches just made me smile. It also had ‘wired’ lights in it… to light up the paths below in the evening. This volcano has destroyed the city of San Salvador many times… the last time it erupted in 1917…the city was destroyed rebuilt on the other side of the volcano. In the photo below you can see the aftermath of the volcanic lava flow….all that black rock, where nothing will grow or live again. 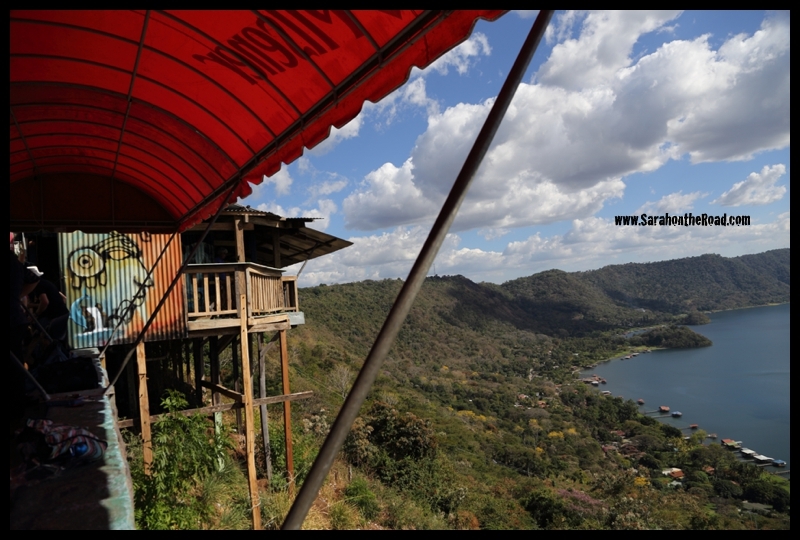 The last stop for the day was Coatepeque Lake. This lake was formed by the sinking of the ashes of two volcanic cones that gave origin to the lake, whose name comes from the Nahuat tongue that means “Snake Hill”. We stopped beside this bar…and some people had set up a local market…. I might have bought a few Christmas Gifts for my mum and sister-in-laws. 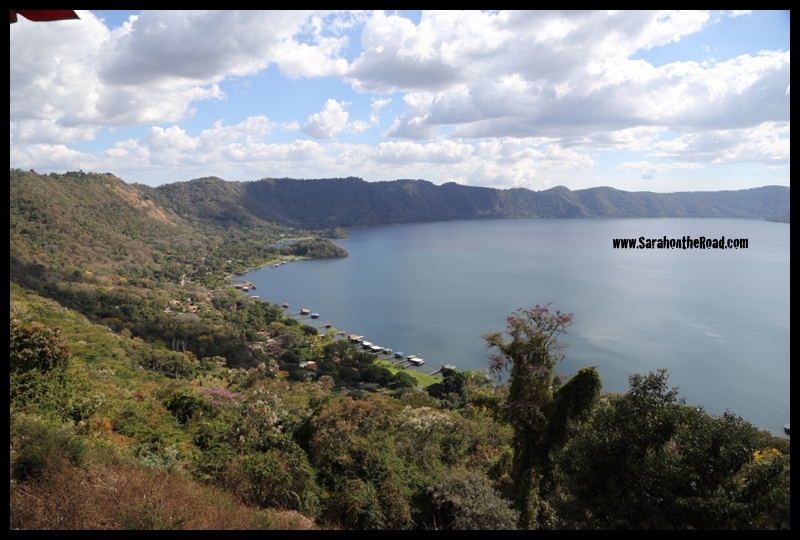 This lake is known as one of the top 10 most beautiful lakes in the world…and in El Salvador it’s known as one of the most beautiful places in the country! 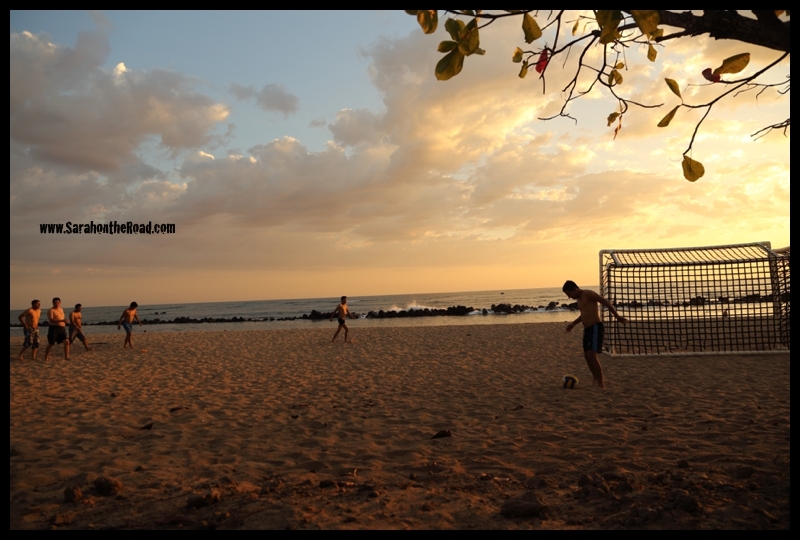 It was another fantastic day in El Salvador… so worth getting off the resort to see a bit more of the country. 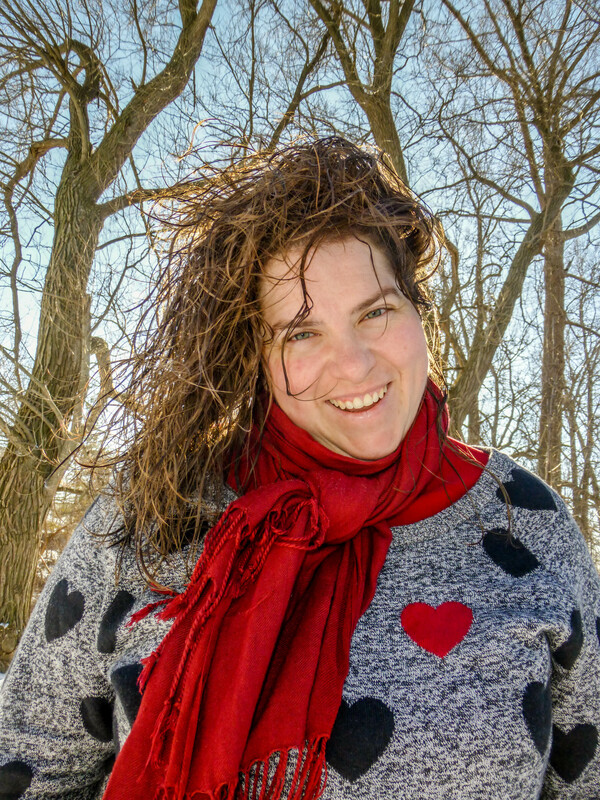 This entry was posted in Holidays, International Travel on April 22, 2014 by Sarah on the Road. Yikes, time is going so fast…I’ve been a bit slack in the bloggin’ department something I’d like to fix starting today. I have a few blogs that have been unfinished drafts on in my dashboard but with a 4 day weekend I had some time to finish them up. 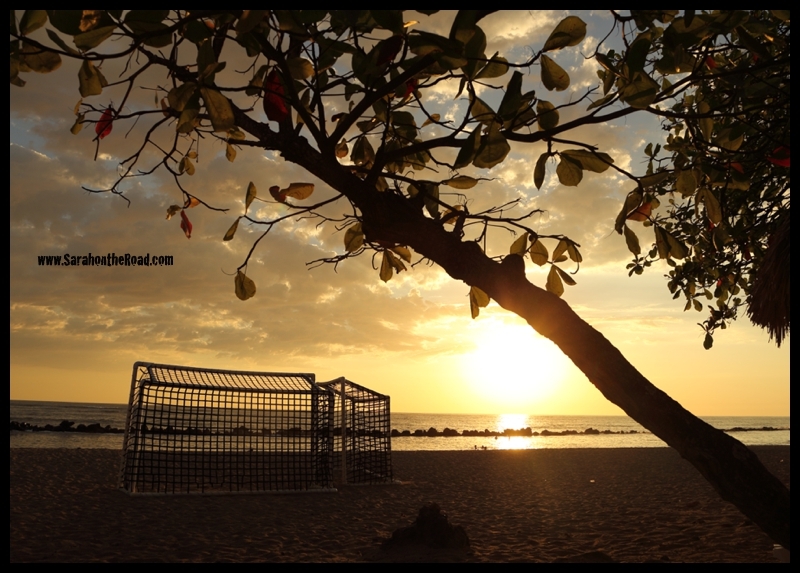 Hope you enjoy here’s the first one of that picks up from my trip to El Salvador after the posts I shared in March: first sharing how resort life was, and then shared about the first day trip I went on with my mum. I always had a plan to share some more stories about the rest of the day trips I went on! 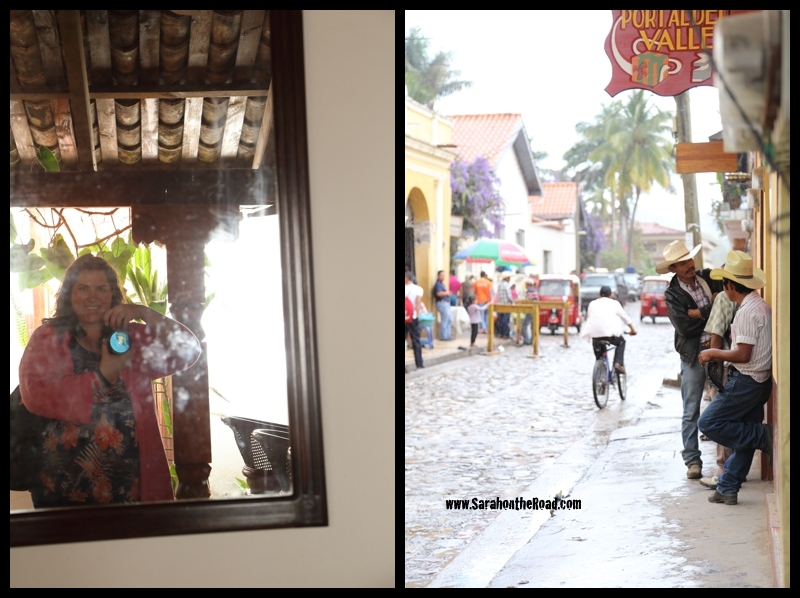 So without any further delay here’s my story from the day I went on a road trip in Central America…when I was in 3 countries in one day! On Sunday, February 16th…I got up really early to head to grab some breakfast & then to the front lobby to meet my bus at 6:30am. The sun was just rising. The plan of the day was to take a trip to Copan, Honduras. It was a bit of a road trip…2 1/2 hours through El Salvador, then about an hour through Guatemala…then about 40mins once we crossed into Honduras before reaching the Copan Ruins. Before we reached the Guatemala- El Salvador boarder we stopped at a restaurant to use the restrooms. It was here that one of the people along for the trip realized she grabbed her roommate’s passport from the room safe not hers. This caused a bit of panic and phone calls back to the resort and tour company operators. 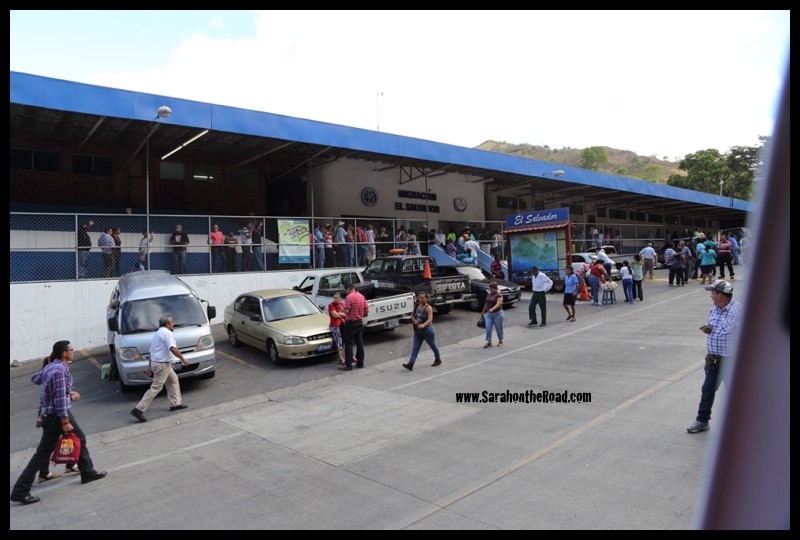 We stopped to get our papers to leave El Salvador approved here at the boarder (pictured below). The person who forgot their passport was given directions how to take a public bus back to the city we stopped in to use the restrooms… and a taxi was sent from Sonsonate (a city about 2 hours away) to pick her up there…that would be an expensive taxi ride…about $100 US…we got word she arrived back at the resort at about 4pm…just as we were coming back into El Salvador! Always double check to make sure you have your OWN passport when you are road-tripping over country boarders! When we crossed the boarder from El Salvador and entered into Guatemala it started to rain…it’s funny we went over the mountains and the sun disappeared and the rain started. I was secretly ok with this…as I had gotten a bit too much sun and was nice to be out of the sun for the day! The boarder crossings were pretty nifty…just a parking gate across the one side of the road. Before you cross to make it speedier sometimes you can offer an incentive to speed things up. Others might call this practice bribing. But it worked we didn’t wait long to cross the boarders. 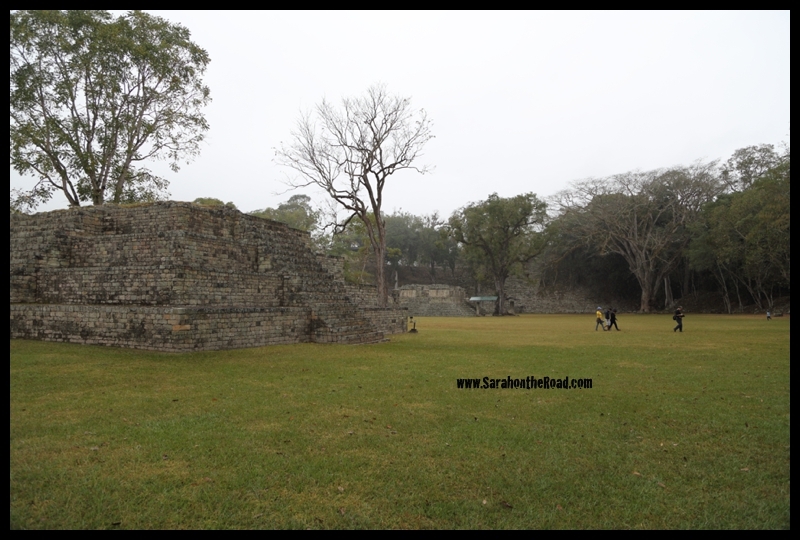 The Copan Ruins in Honduras are located close to the boarder with Guatemala. They are one of the best proof of existence of one of the greatest American Pre- Columbian culture. 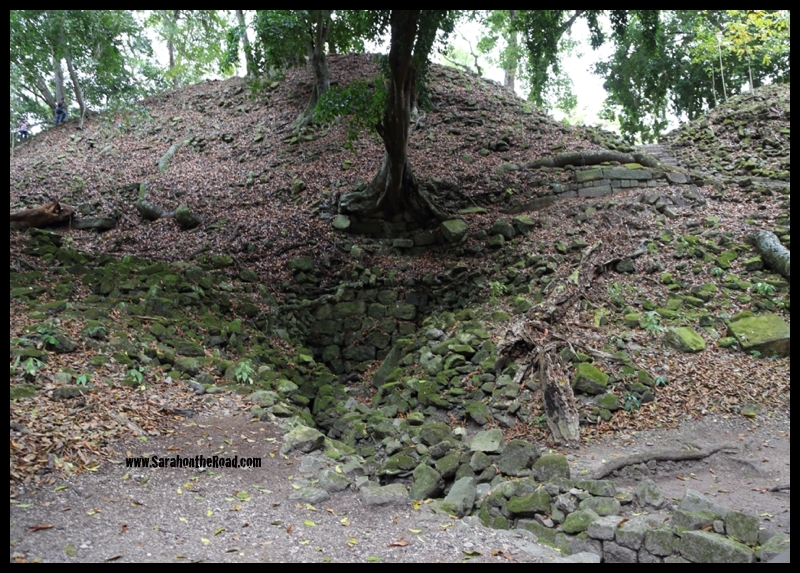 The Ruins of Copan was declared by UNESCO as patrimony of humanity in 1980. 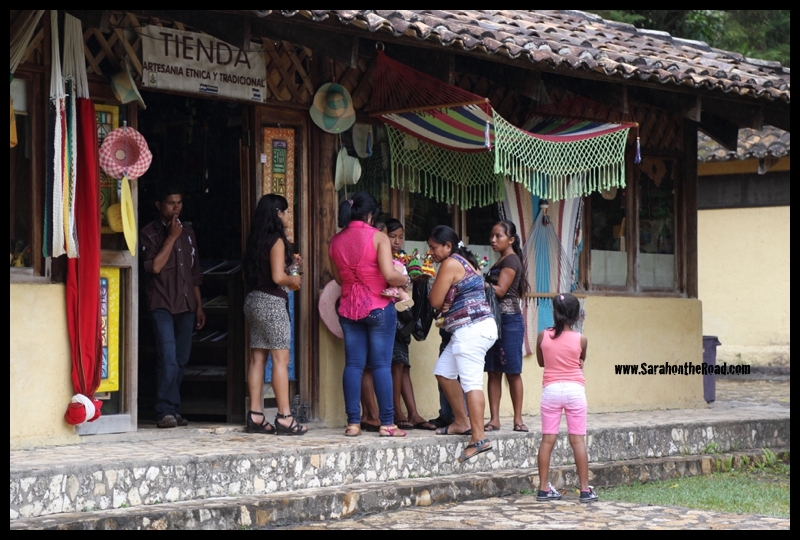 It is a quiet antique cultural oasis, with sublime nature, located in the eastern part of Honduras. 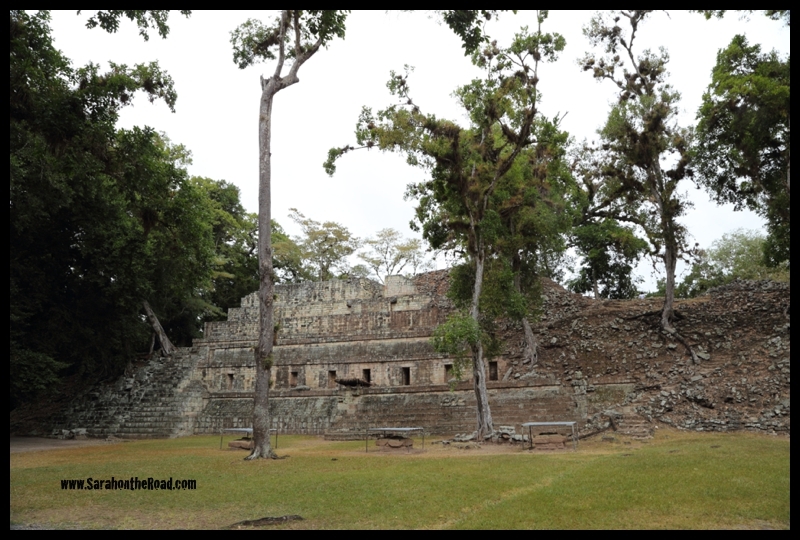 It is a spot that is very popular for Mayan architecture and millenary heritage. We met our guide, Oscar…that took us around the ruins. Below he was pointing out the various ruins we would see…and the direction of our tour through the various spots! 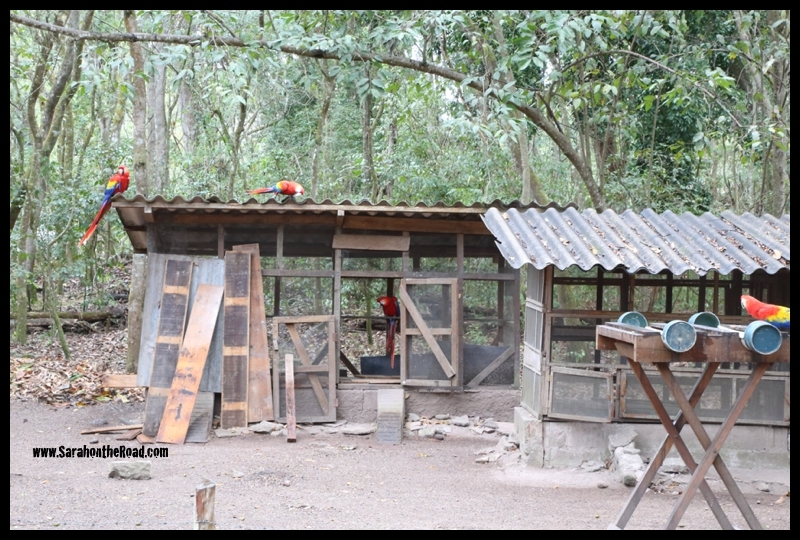 …At the beginning of park was this house for some Scarlett Macaws. These are the national bird of Honduras…a pair was brought here to live but they are free to fly around the ruins and jungle. But they come back and nest and have their home in the Park-Reserve…I think it’s probably because they are fed. They are chattering, loud birds but so pretty! A lot of the ruins haven’t been restored. They have been kept in place because of the tree roots…but this is a help but also a curse, as the tree roots are forcing the building blocks of the foundations to come apart as well. Below you can see the outline of a few houses….and how the trees are keeping the blocks together. Here is one of the sites that has been restored. This spot is known as the “West Court”…it is a symbolic, sacred landscape. Its sculptures represent the watery underworld of the Maya cosmos. 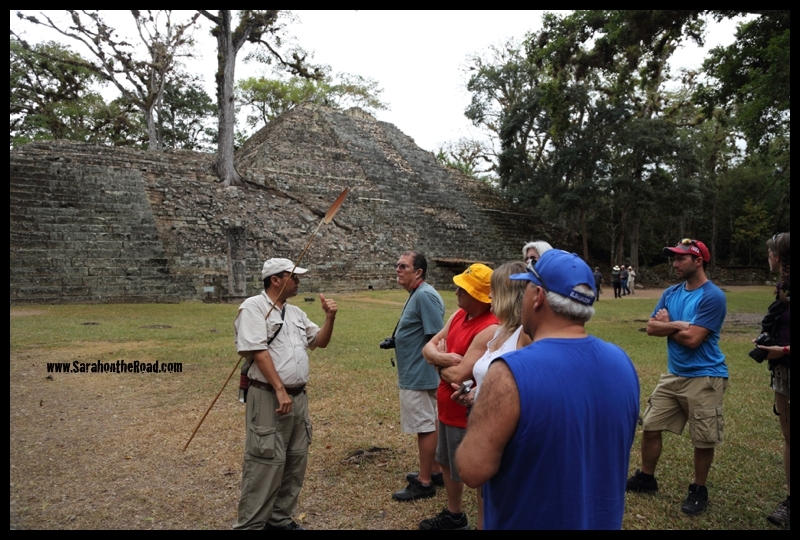 Our tour guide was a wealth of information about the Mayan Ruins…and shared these during our tour in both English and French. 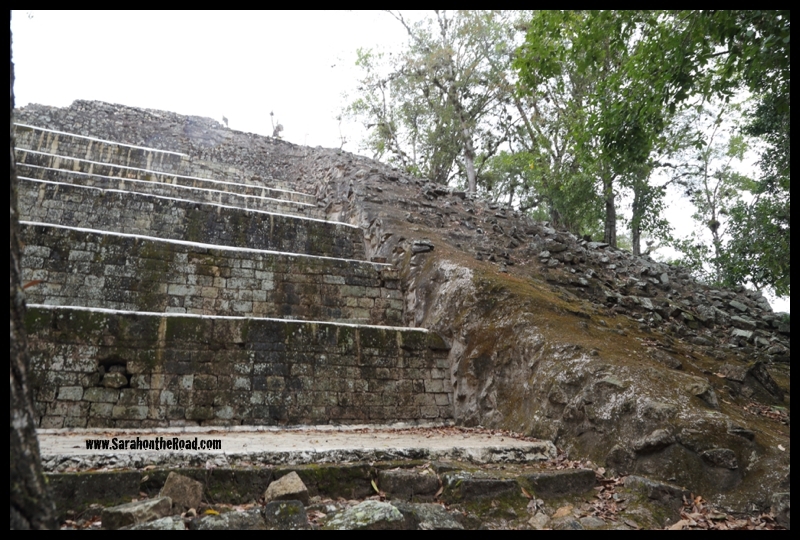 Here you can see where the ruins have been restored on the left…and the rocks/rubble that aren’t restored on the right. Below is the spot that has been popularly known as the “El Cementerio” because of all the graves found around the base of the house structure. But after learning a bit more…this would have been the Royal Residence for the King. Mayans liked to keep their ancestors close to them when then died…and often they were buried around the outside base of the families living house. 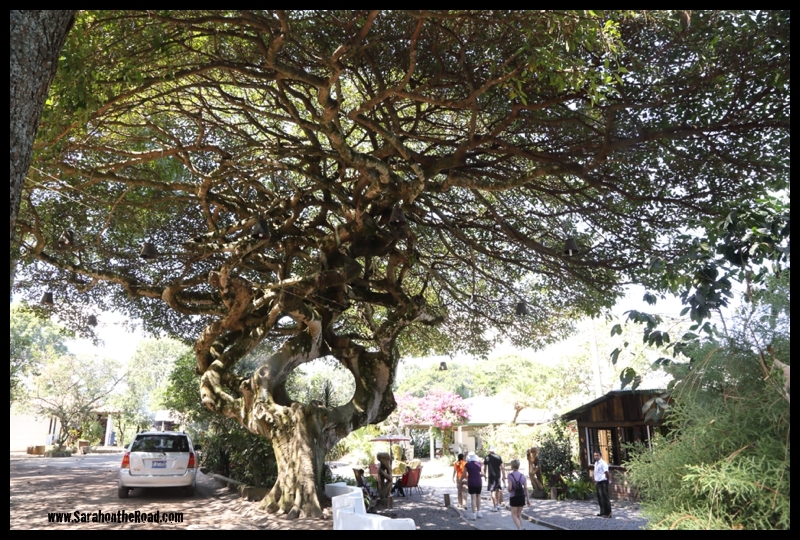 The tree below on the left is often called the sunburnt tree…often like tourists that come to visit and let their skin get sun-kissed with too much sun! On the right is the spot known as “the East Court”. The court yard personified the daily cycle of the sun. It rose in the East as a young god, set in the West as a snarling jaguar, travelled through the darkness of the wet underground, fighting it’s way with blood-thirsty felines, only to come up renewed on the following day. 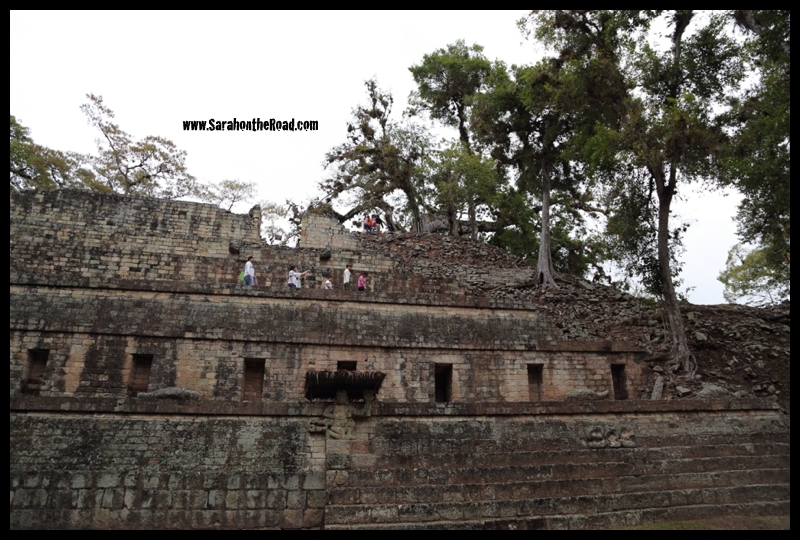 Here is a view from above of the Ball Court..this view is on one some of the currency from Honduras. How the ball game was played isn’t really 100% known. But from some accounts from Spanish historians that witnessed the game in many parts of Meso-america that it was played with a solid rubber ball. This made it very heavy so that the players could only hit it with their hips or could only hit it with their hips or thighs, over which they wore protection. In some scenes of Mayan art it depicts the bloody sacrifice of the loosing players. This main plaza area had a drainage system in place…that small block opening on the photo on the left was the drains to stop the flooding of the main plaza. Under most of these buildings there are tunnels and other architectural sites that are still being excavated and explored. This on the left is the famous staircase of “hieroglyphics”… This is the longest single hieroglyphic inscription in the ancient New World, narrating the official dynastic history of the city. Its main theme was that of royal ancestor worship, embedded in the context of war and sacrifice. The text was interspersed with the seated portraits of its protagonists, the Sun Kings of ancient Copan, dressed in full warfare regalia. I absolutely loved the archway of this building along the up-side of the ball court! The rest of the Grand Plaza had the “steles”… it was a spot for ritual acts of social importance; principal among those were those related to the worship of the Sun god, K’inich Ahau. It was a fantastic walk around the ruins…even though the sun was hiding behind the clouds and it started to drizzle just at the end of the tour! 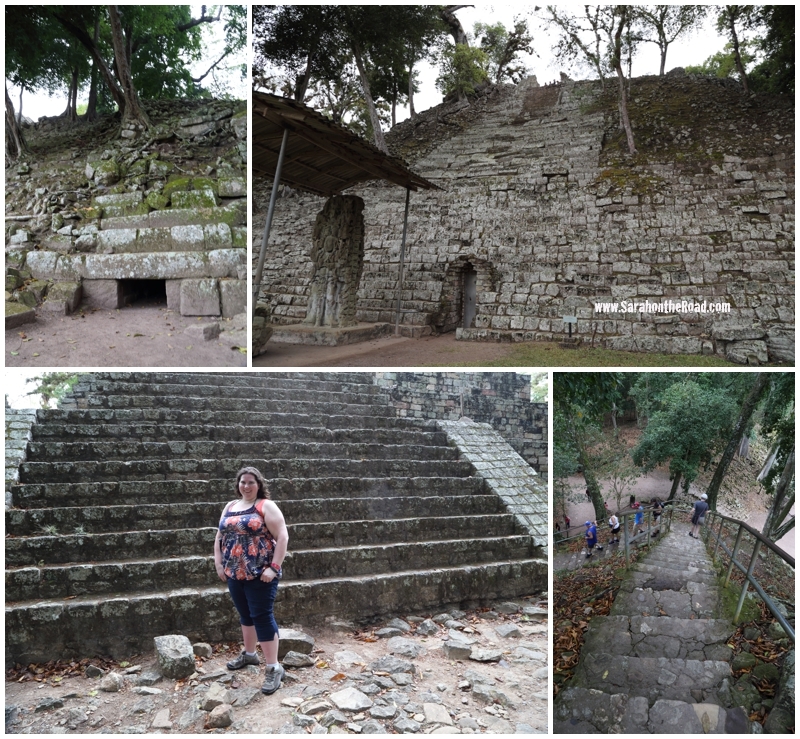 It was so fascinating to walk around and see these buildings and sites that were built thousands of years ago by the Mayan people. 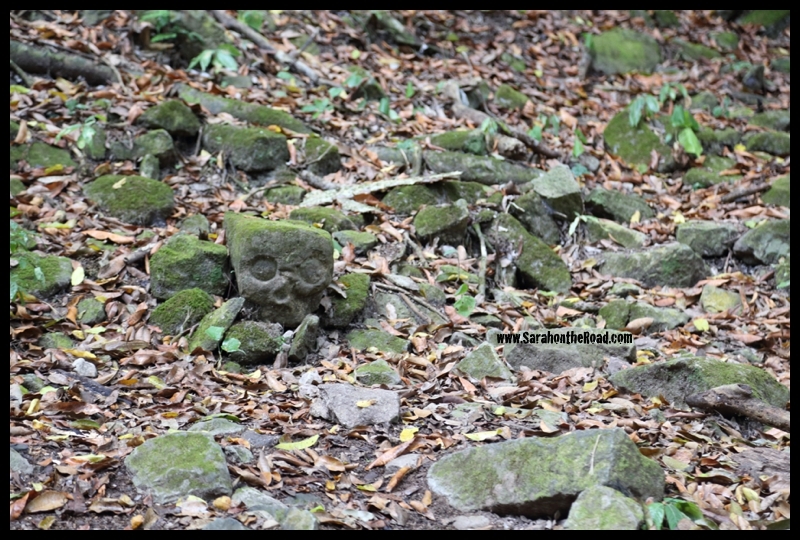 It is well said that Copan is the Paris of the Mayan world…filled with art and culture. …a quick stop at the gift shop where I picked up a book about the Copan Ruins and a Honduras patch for my campfire blanket. 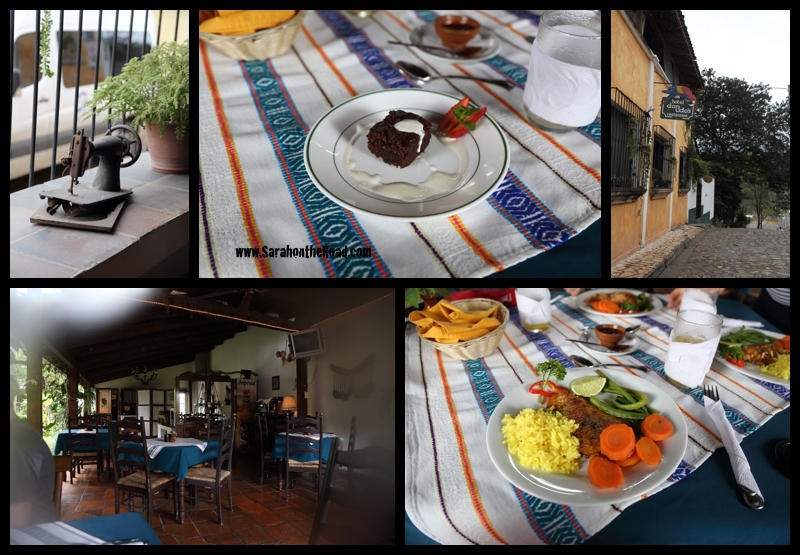 After our tour around the ruins we went into the City of Copan…for lunch. It was in this awesome little hotel…with wonderful food… choice of fish, chicken or beef… I picked fish! After lunch we were given some free time to head into the city centre to shop and site see. I took the time just to sit in the centre square of the city and take some photos while I was people watching. 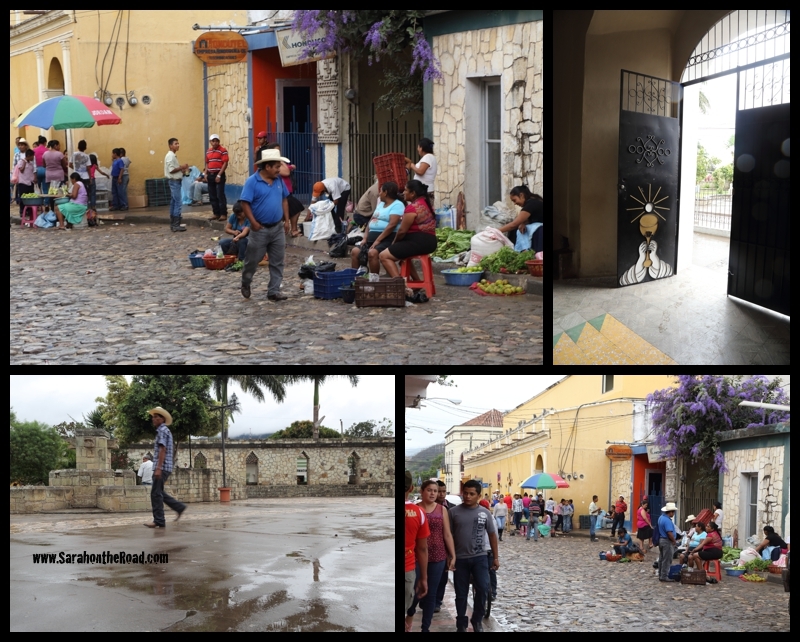 Below are some of the shots I took while walking around the streets of Copan. It was a fabulous day…a bit rainy but so cool to visit 3 countries in one day. 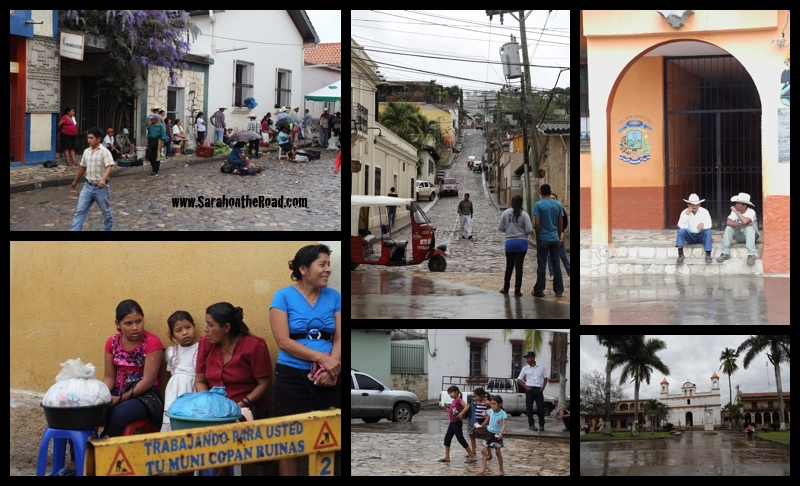 Here are some last scenes of Honduras before I headed back to the resort! 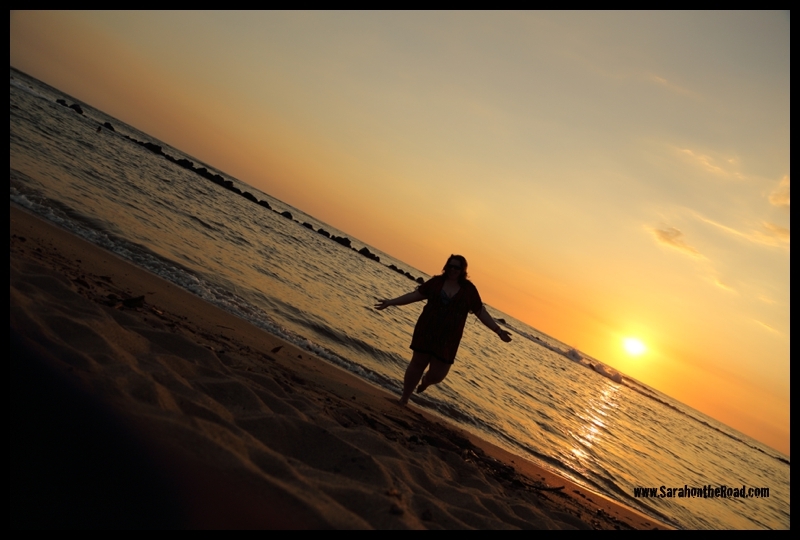 It was a fabulous day trip… I was gone from the resort for about a total of 13hours! Yes, it was a long time in the bus- just over 4 hours one way! But it was worth it. I’m glad I took the time to go on this fabulous trip, even if it meant I didn’t have a day on the beach! 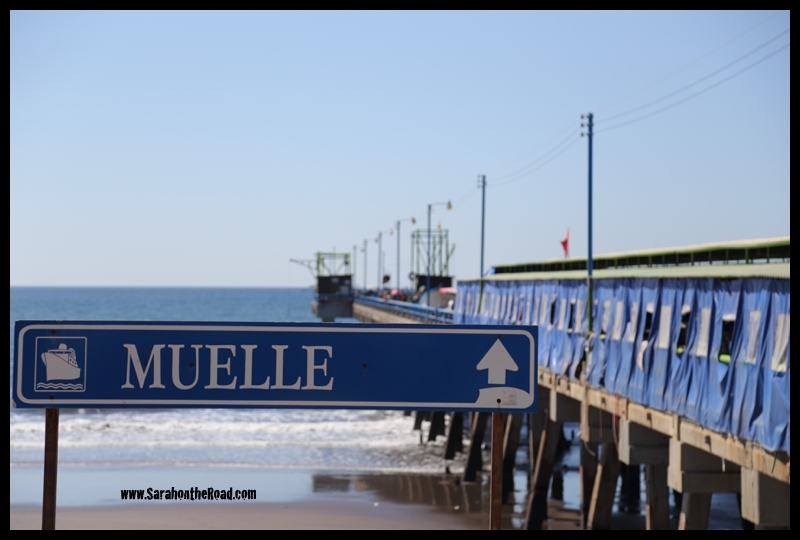 This entry was posted in Holidays, International Travel on April 21, 2014 by Sarah on the Road. Well the Bunny certainly found it’s way to my house! I found these awesome treats from inside my box from Ontario. I think I have enough candy to last a life time! 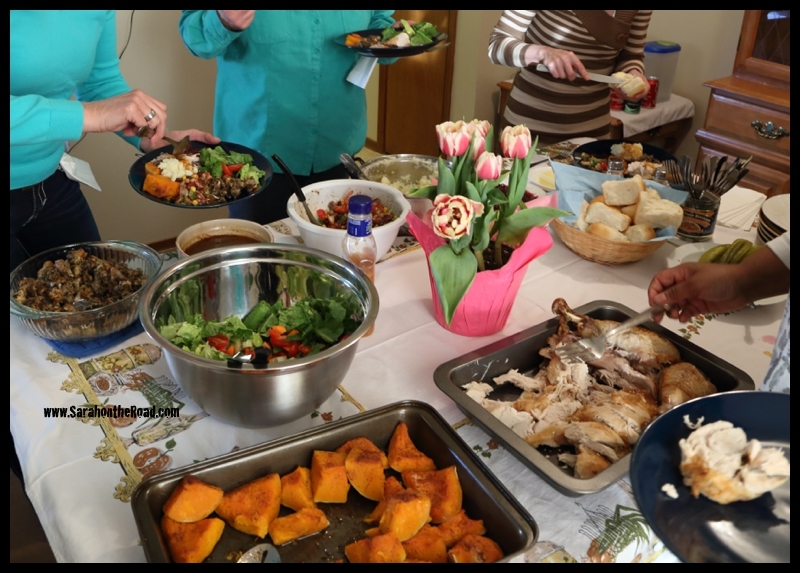 Yesterday I got together with a bunch of friends for a fabulous Easter dinner…so yummy. …it was great to be surrounded by friends old and new. With lots of time to share stories and laugh! 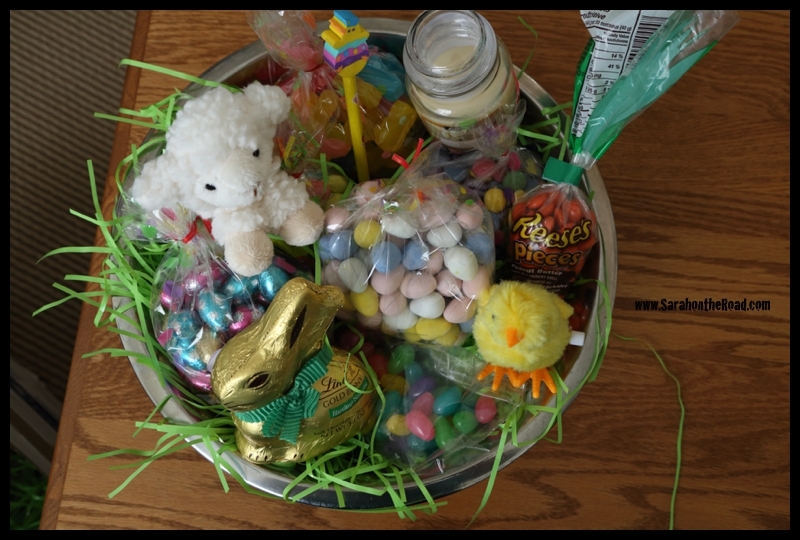 From my house to yours…HAPPY EASTER! Christ the Lord is risen today. Alleluia. 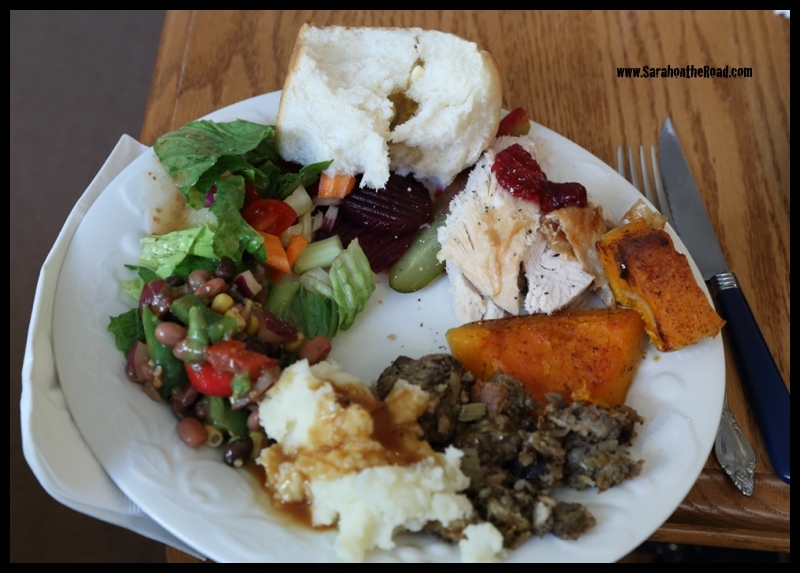 This entry was posted in Holidays on April 20, 2014 by Sarah on the Road. 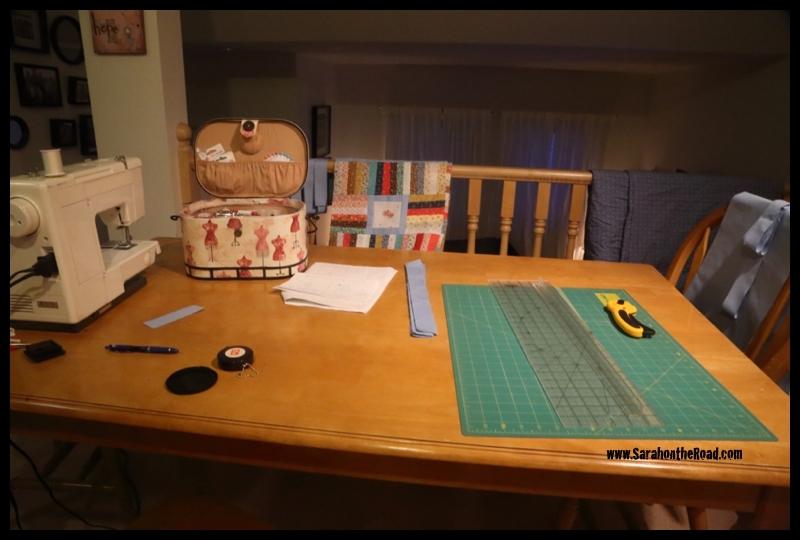 Well I suppose it’s time for an update about my quilting project! 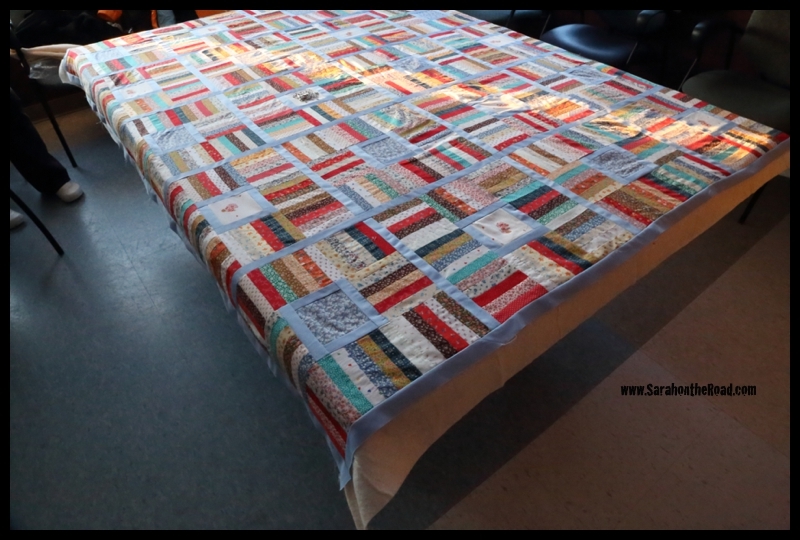 This week I finally finished all the sashing for my quilt–sewing my 20 blocks together to finish my quilt top. 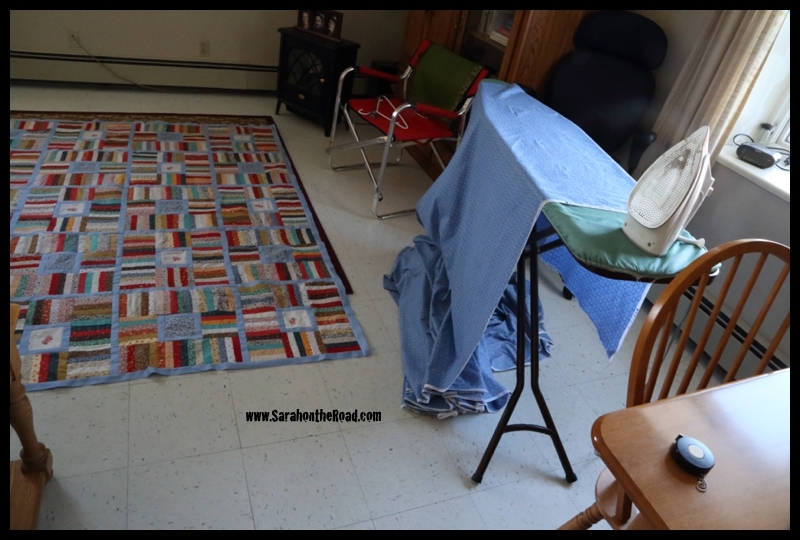 On Friday night I had a few friends over…my quilt ‘mentor’ was there… I surprised her by pulling out my completed quilt top! 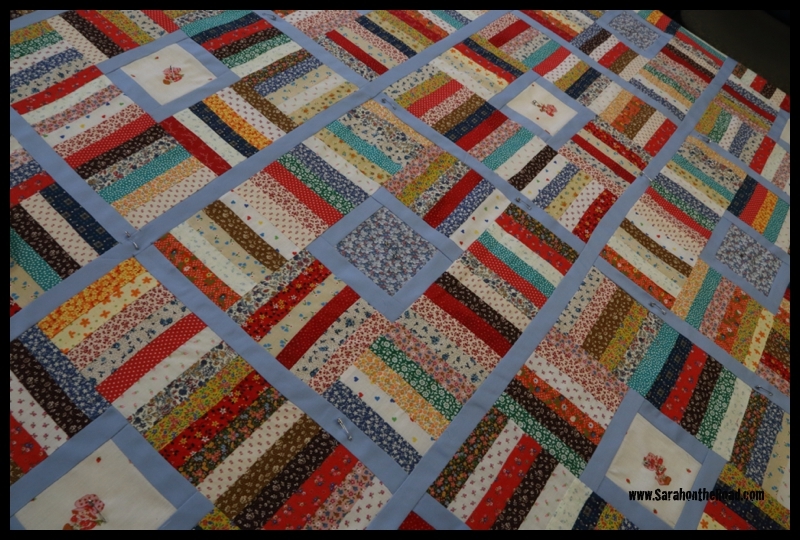 At this point I had joined all the blocks into rows then started the process of joining the long sashing to finish up the quilt top…trying to make sure everything was square. The quilt top is done…laid out on the floor to get measurements so we could figure out how much material I need to cut for the backing. 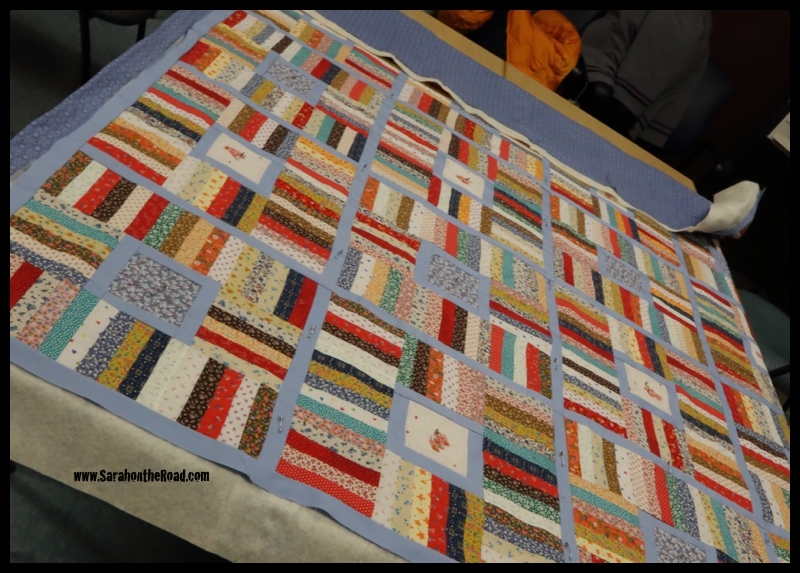 The only material I bought for this quilt was the backing…everything else I used from my Gramma and Mum’s sewing scraps. The ladies who sold me the backing at the quilt store did the calculations on how much they thought I’d need….apparently they thought I’d need about 5 meters more than I used. So I have enough material to use as backing for future projects. It’s a good thing I liked the material. 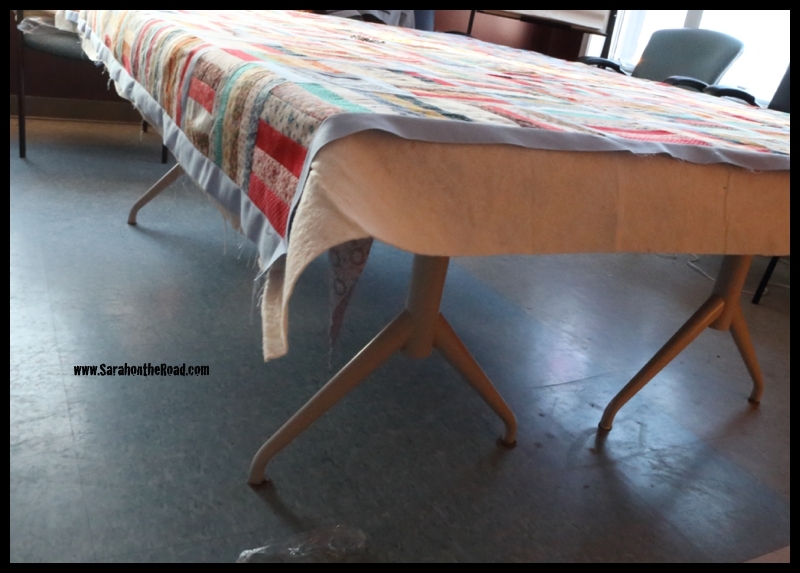 Then together we started the sandwiching process… first you lie down the quilt back with the right side down….we didn’t have a table quite large enough, so ended up taping this fabric to the bottom side of the table. Then we took the batting…and cut it down to size and laid it down on top of the quilt backing. Then we took the top and put it down. Then came the fun job of pinning all three layers together with special curved safety pins. I was short of these…so we had to do a bit more basting. Basically starting in the middle and stitching it with a loose stitches to help keep the layers together during the quilting process. …so after almost 5+ hours…the backing was completed, batting was cut and the quilt top was sandwiched. I still have a bit more to baste before I can start quilting…but for now, the quilt is coming along nicely. There’s still quite a bit of work left to be done before I can put this beauty on my bed. 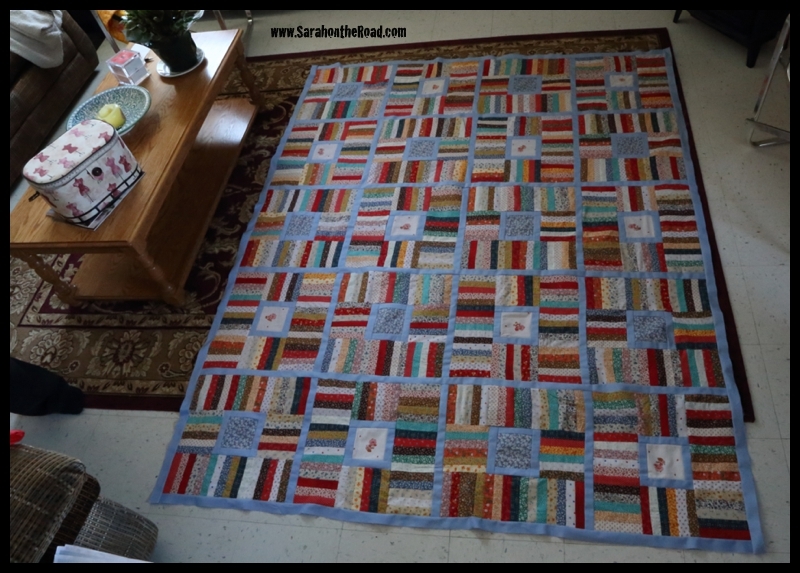 This entry was posted in Crafty Projects on April 7, 2014 by Sarah on the Road.